【Lightweight, yet Durable】 Made from rip-resistant nylon fabric, NEEKFOX lightweight backpack provides exceptional strength and longer life. Adjustable breathable straps can fit your body properly. Sternum strap can help with heavier loads on daily use. Its durable two-way SBS metal zippers are also abrasion-resistant and ensure secure closure. 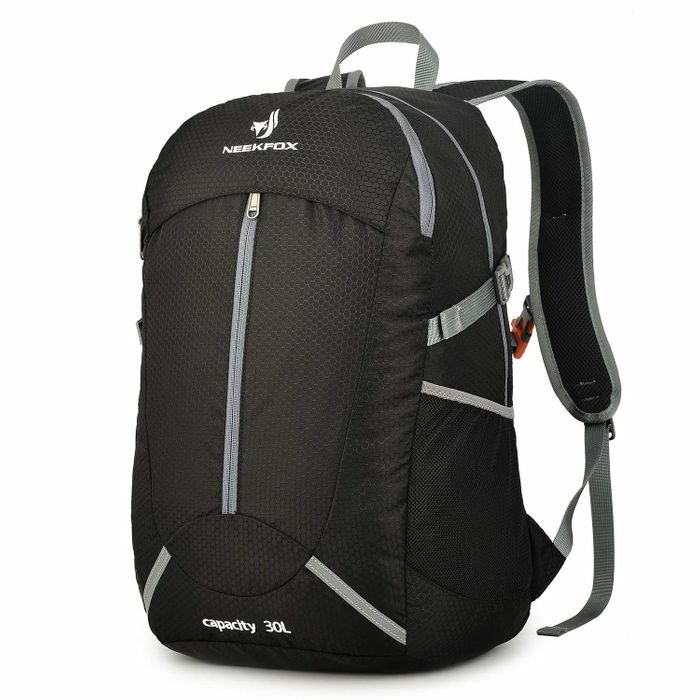 【Packable but Spacious】 Though this packable backpack only weights 0.88 lb, it still provides a roomy storage capacity 30 liters. It features one roomy main compartment with two internal open pockets. Two mesh side pockets work well for a water bottle or umbrella. Two front zipper pockets and internal zippered pocket for smaller items. 【Great Backpack for Travel】 Fold this backpack into its own pocket for storage and unfold it when reach travel destination. NEEKFOX 30L hiking daypack ideal to use as a overnight pack or multiple-day pack. Good for Disney day trip, international travel, day travel, overnight trip, camping, day hiking and vocation. Great travel backpack for women and men. Great find thank you for sharing! Been looking out for a good deal on a rucksack!!! Bargain find , Thanks for posting. Great selection of colours to choose from as well. Also worth mentioning that the code works if ordering more than the 1 bag. And With PRIME it's next day free delivery. This looks fantastic, a proper sturdy rucksack that collapses small enough to go into your holiday bag to take away with you! Wow what a great find and a great price. Thank you for sharing this offer today. I have been looking for one.